I work at Sight & Sound Theatres in Lancaster PA, we're a Christian theater that produces inspirational musicals with biblical themes on an epic scale. Our stage is 300 feet across and wraps around the audience. 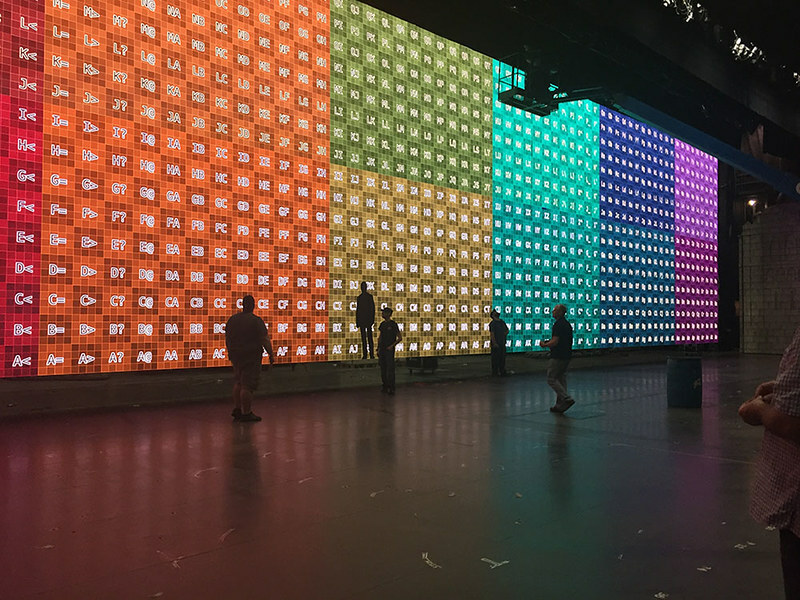 Last year I was in charge of finding and purchasing a custom built LED screen to use as a filler backdrop behind our sets for a few scenes in our current show. 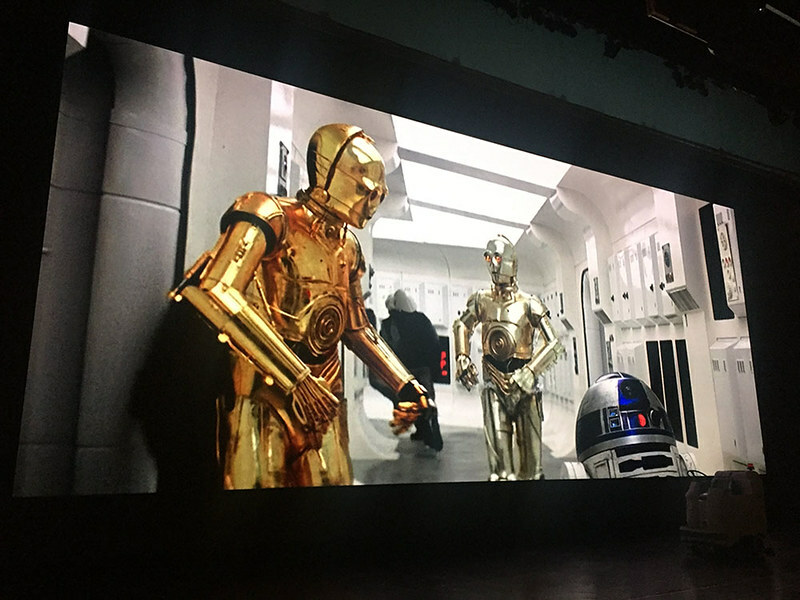 The screen is 110 feet across and 30 feet tall. (Think the wingspan of a Boeing 737 and the height of a three-story building.) It has 21 million pixels with an 8k resolution. 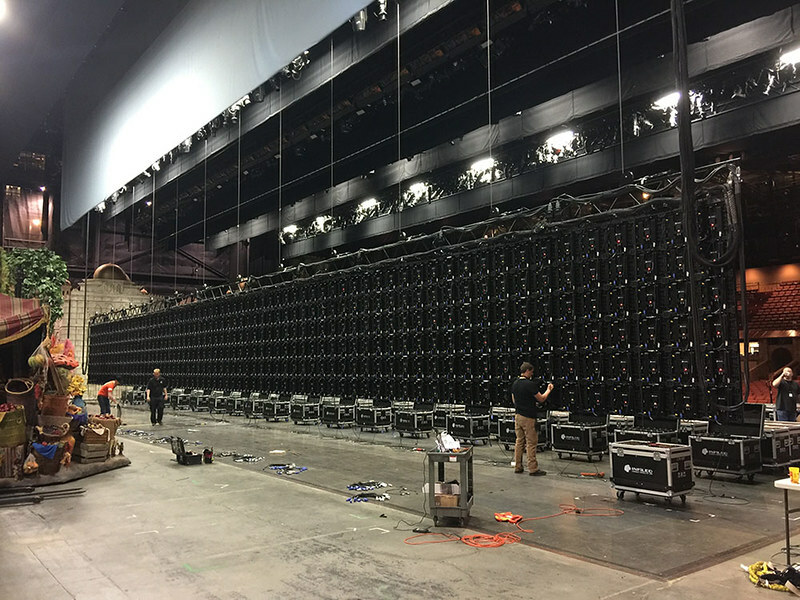 We believe this is the largest moving screen used in a live theatre in the world. Our guys just starting to hang the panels. 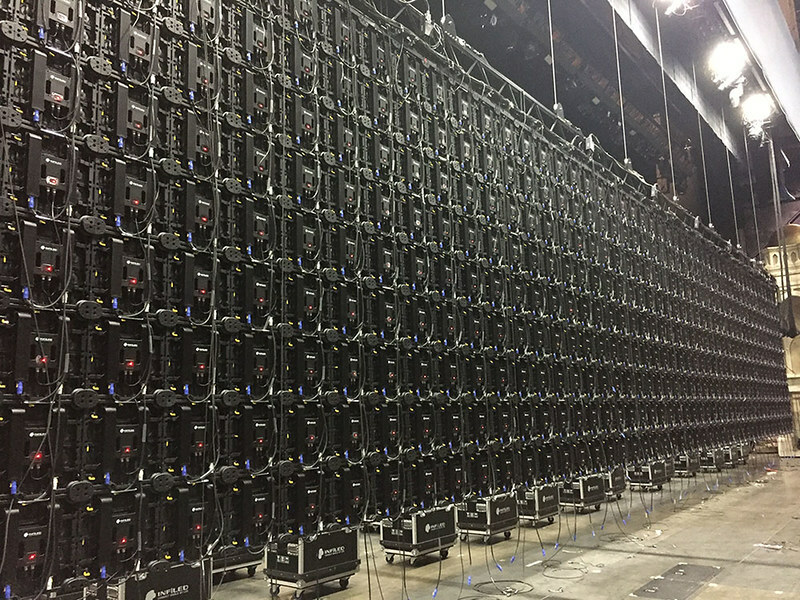 They're like very high tech legos. Part of the screen getting calibrated. And what is the first thing you watch on a gigantic screen after two days of assembly? I'm looking at 9 screens for a video wall in our lobby at work - not cheap - can only image the budget on this job.